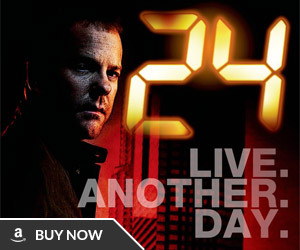 Promo for the 24 Season 3 DVD on sale December 7, 2004. 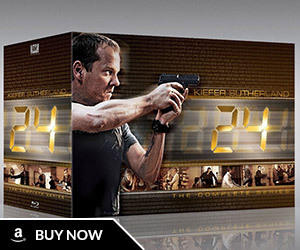 It advertises the included 24 Season 4 Prequel bonus feature. 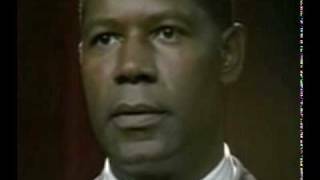 24 Season 3 Episode 19 Promo (7:00AM – 8:00AM). Promo for 24 Season 3 Episode 6 (6:00 PM – 7:00 PM). 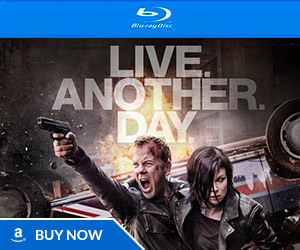 Jack Bauer is flying over Los Angeles in a stolen helicopter with terrorist Ramon Salazar and President David Palmer must make the tough decision on whether to shoot him down. Promo for 24 Season 3 Episode 10 (10:00PM – 11:00PM). Claudia Salazar helps Chase Edmunds escape by secretly handing him a knife. Jack Bauer must convince Nina Myers he’s a bad guy by kissing her.